Admittedly, I am a conference junkie. Thankfully, attending conferences, discovering new speakers, and raising the visibility of my company is part of my job as CEO of a book publishing and live events business. But that doesn’t mean I’m not selective. I pass on nine conferences for every one I attend. I can’t attend all of them, but I want to make sure I attend the best, most stimulating ones. That’s why The Chick-fil-A Leadercast is on my short list of can’t-miss events. The Chick-fil-A Leadercast is a one-day leadership event that will be broadcast live from Atlanta, Georgia on May 6, 2011, directly to 75,000 leaders in North America. 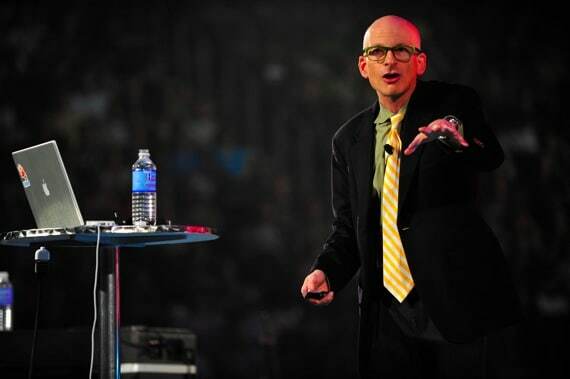 The conference will feature eleven renowned speakers, including Seth Godin, Dave Ramsey, John Maxwell, and Robin Roberts (co-host of “Good Morning America”). However, the live event is only part of the story. If you are a pastor or in a position of leadership in your local church, this is an opportunity for you to reach the leaders in your business community in a powerful, relevant way. How? By hosting a live feed of the event in your church. Build relationships with influential community leaders and begin significant conversations that are relevant for their world. Meet the leadership training needs of your business community with relevant content, unavailable anywhere else. Gain recognition in your community as a credible source of relevant, excellent marketplace inspiration. Generate alternative revenue for your church. Gene has now hosted Chick-fil-A Leadercast for four years at Tri-Cities Baptist Church. He started the event with a desire to provide a service to business people in his city. Each year the event has grown: They had 260 attendees the first year and and 400 attendees last year. Last year, I hosted Backstage Leadercast and had the privilege of interviewing several of the event speakers, including Jim Collins, author of the business bestseller, Good to Great, and Dan Cathy, President of Chick-fil-A. (You can watch these here and here to get a sense of the content.) I will be hosting the Backstage program again in May and can’t wait to interview this year’s roster of speakers. Also, you can visit the Chick-fil-A Leadercast website for in-depth information about the 2011 event. You can follow Chick-fil-A Leadercast on Facebook, Twitter, and LinkedIn to be kept up-to-date on the latest leadership resources and news about the this year’s event. Question: Have you attended or hosted a Chick-fil-A Leadercast previously? If so, what was your experience? You can leave a comment by clicking here.